It's commonly reported that Marilyn Monroe had an IQ of 168—an IQ that is believed to have been higher than Albert Einstein's. None of this has actually been confirmed; IQ tests were not very common or accessible during Monroe's time, nor has there ever been solid evidence she had ever taken one. But the very fact that these rumors exist should not be ignored: Marilyn Monroe was clearly remembered for her intelligence, despite having lived her life as the poster child for 'dumb blondes'. But Monroe wasn't blonde—at least not naturally. Her classic look was invented in order to help kick off her career. She was born Norma Jeane Mortenson, a brunette factory worker who had been in and out of orphanages during her childhood. After a fairly successful modeling career she landed a screen test with 20th Century-Fox, where she then bleached her hair platinum blonde and changed her name to Marilyn Monroe ('Marilyn' reportedly after Broadway actress Marilyn Miller, and 'Monroe' after her mother's maiden name). Similarly to Rita Hayworth, her contemporary, it's possible that Monroe had electrolysis to raise her hairline, rhinoplasty, and a jaw implant during this time. Monroe wasn't like her characters, who were often simple and nurtured. Throughout her childhood, she was passed around foster families and quickly learned to take care of herself; she married her first husband in 1942 but still took a job at the Radioplane Munitions Factory in order to earn her own income. In 1944 she met a photographer and began her modeling career, and by August of 1946, she had divorced her husband and agreed to an acting contract with 20th Century-Fox. She spent the first six months of her contract studying singing, acting, and dancing until she finally landed a small part in her first film Dangerous Years (1947). Most assume Marilyn would simply throw on makeup and a dress for her roles on screen, but the truth is that she took her craft far more serious than that. Monroe practiced the Stanislavsky Method, a concept that can somewhat be compared to what we know now as "method acting". The Stanislavsky Method requires the actor to draw from personal, emotional memory to assist in their character portrayal. In the mid-fifties, Marilyn moved to New York to truly commit to perfecting her acting. She studied at the famous Actors Studio under Constance Collier and Lee Strasberg. Monroe was the definition of a star pupil and reportedly took copious amounts of notes. In 1956, Marilyn married playwright Arthur Miller. Her time with Miller is a testament to Monroe's thirst for an intellectual relationship, and many argue this marriage encouraged her to become more openly political. Monroe spent quite a bit of her later years immersed in politics; specifically, the Civil Rights movement. 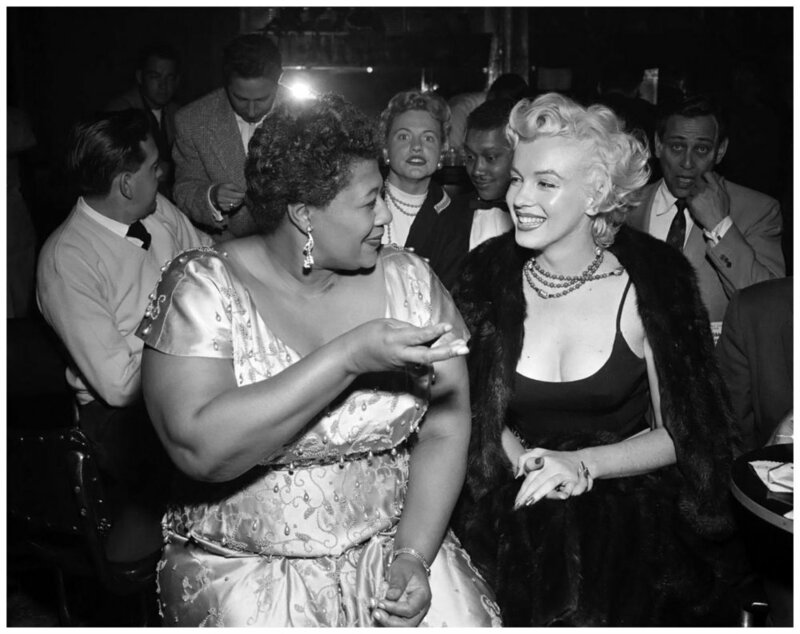 An infamous anecdote tells the story of Monroe helping Ella Fitzgerald land a gig at the Mocambo night club—a story that highlights both Monroe's intelligent use of her own Hollywood status, and her recognition of Fitzgerald's struggle in her career as a Black woman. But Monroe's politics didn't end with her helping out her friend land an act at a club; in fact, Monroe was incredibly persistent with her political beliefs. In the early sixties, she helped found the Hollywood sector of the Committee for a Sane Nuclear Policy. She also made sure to keep a residence in Roxbury, Connecticut, where she held a role as an alternate delegate to the Democratic caucus. She also outwardly expressed her pro-Castro views on Cuba. I'm not very bright, I guess...just dumb. If I had any brains, I wouldn't be on this crummy train with this crummy girls' band [...] You see what I mean? Not very bright...I can tell you one thing - it's not gonna happen to me again—ever. I'm tired of getting the fuzzy end of the lollipop. Why, then—even though she proved herself competent in politics and the fight for Civil Rights—does the memory of Monroe continue to center around her dumbness? Monroe knew she was typecast as ditzy dumb blondes, and she used this to her advantage. She knew that to succeed as a woman of her time, she had to comply with certain unfavorable decisions (like her consistent role as simple blonde). Just like she used her success and status to help Ella Fitzgerald, she took advantage of how well she played these roles to assist in her own success. Monroe indeed had a big brain, but she also had an equally large heart to match. She was a philanthropist and spent a lot of time donating and volunteering for several organizations, especially those that aided children and animals. In the fifties she was involved with St. Jude's, March of Dimes, and the Arthritis and Rheumatism Benefit. She reportedly donated all of her earnings from the premiere of The Prince and the Showgirl (1957) to the Milk Fund for Babies. In the early sixties, she donated $10,000 to a Mexican orphanage and her last appearance before her death was at a benefit for muscular dystrophy. Even posthumously Monroe manages to continue her incredible charity work, since a quarter of her estate's earnings are donated to the Anna Freud Center, a psychiatric clinic for children. The true tragedy lies in the memory of Monroe being associated more with her ditzy characters, and less with her intelligence or important charity and political work. 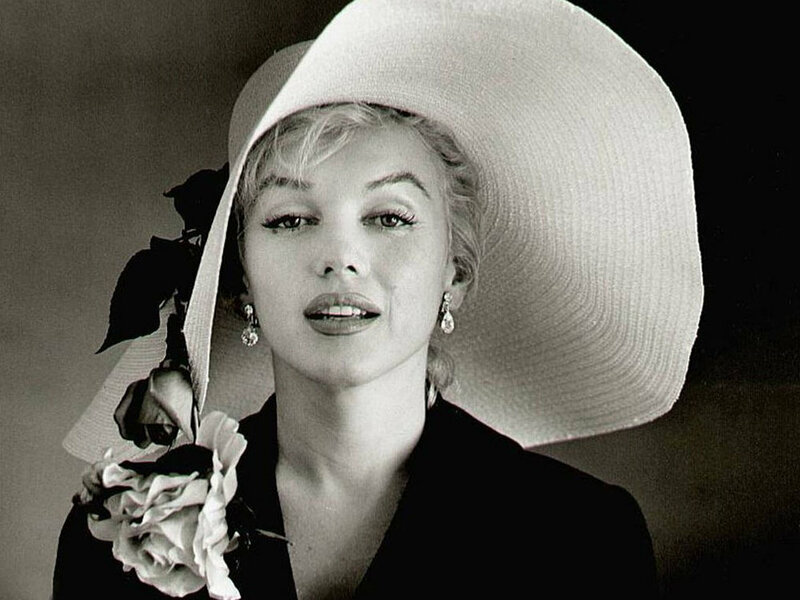 Marilyn used her skill as an actress to finance her personal life as both a philanthropist and advocate: a true example of just how smart she truly was. So when reflecting on Marilyn Monroe, don't simply point to her as a dumb blonde; point to her fiery independence and exquisite brains, for it much better serves her memory.